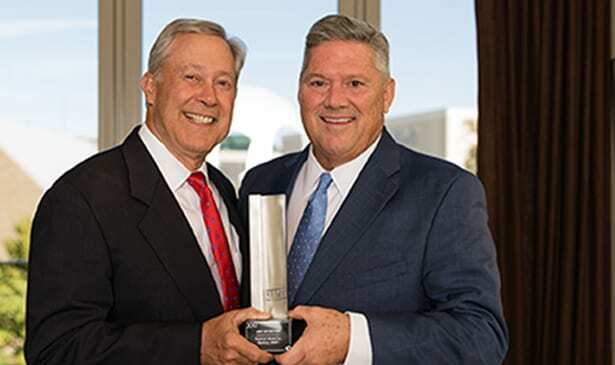 NASHVILLE, TN — The Institute of Real Estate Management ® (IREM) has announced that Freeman Webb Company has been awarded its 2017 Accredited Management Organization® (AMO) of the Year in its Real Estate Management Excellence® (REME) program. This international award is given to the company that best exemplifies the organization’s goals of providing professional, ethical real estate management services. IREM expects their accredited organizations to provide innovative, leading-edge business practices and initiatives, to share successful initiatives and to foster further innovation within the real estate management industry, both locally and globally. Chosen from a pool of over 1,100 AMOs across the globe, Freeman Webb Company was selected as the company that best exemplified IREM’s exacting principles. Freeman Webb Company is a full-service real estate investment and management firm that specializes in the acquisition, management and rehabilitation of multi-family residential and commercial properties. Bill Freeman and Jimmy Webb founded Freeman Webb Company in 1979 with one employee. Almost four decades later, Freeman Webb Company has a nearly $2 billion portfolio valuation and over 450 employees, including in-house legal, marketing and construction divisions that allow the firm to best serve investors, clients and residents. Freeman Webb Company currently employs 17 Accredited Residential Managers and seven Certified Property Managers, and two individuals have been selected in recent years for IREM’s prestigious Accredited Residential Manager of the Year award, given to only one Property Manager in the country each year. “This is an unprecedented achievement for any company, and we are proud that Freeman Webb Company has such capable individuals as part of our team. Without such dedicated employees, Freeman Webb Company simply would not be the successful company we are today, ” stated Webb. Freeman Webb Company is proud to be one of the largest owner / operators of apartments in middle and east Tennessee, and own and/or manage more than 16 million square feet of multi-family, office, and retail space throughout the Southeast and Midwest. Freeman Webb Company is an Accredited Management Organization (AMO) as designated by the Institute of Real Estate Management (IREM) with a portfolio of over 15,000 multifamily units across Tennessee, Mississippi, Alabama and Missouri. IREM®, founded in 1933, is an international community of real estate managers dedicated to ethical business practices, maximizing the value of investment real estate, and promoting superior management through education and information sharing. An affiliate of the National Association of REALTORS®, IREM® is the home for all industry professionals connected to real estate management – and the only organization serving both the multi-family and commercial sectors. IREM® offers a variety of membership types for professionals of every experience level, from on-site managers to high-level executives. Today, IREM® membership includes more than 19,500 individual and 560 corporate members. IREM® credentials, earned by meeting high standards of education, experience, and ethical business practices, include: CPM®, ARM®, ACoM, and AMO®.